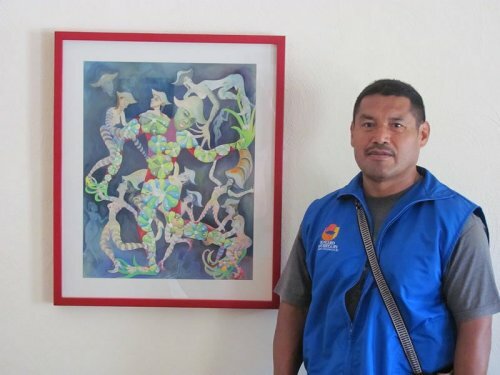 Matzuwa is a Huichol artist working in Tepic. 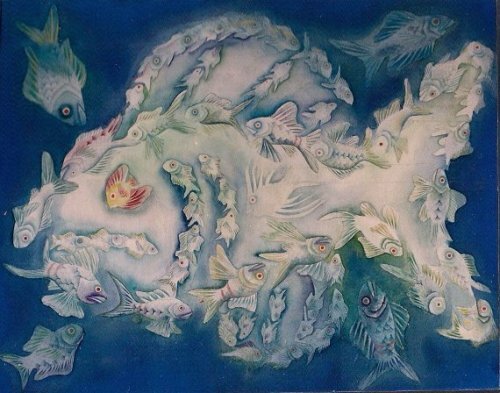 He is currently showing his work in an upscale gallery in Mexico City and will soon be traveling to California to visit galleries there. 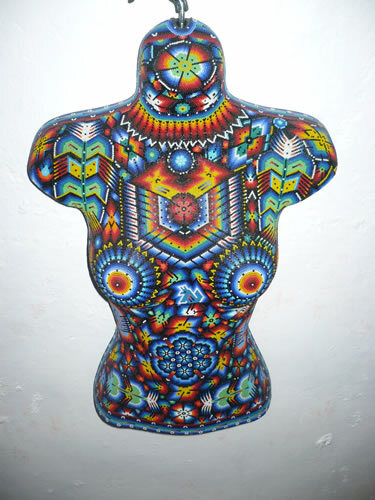 Also available are huichol beaded torsos. 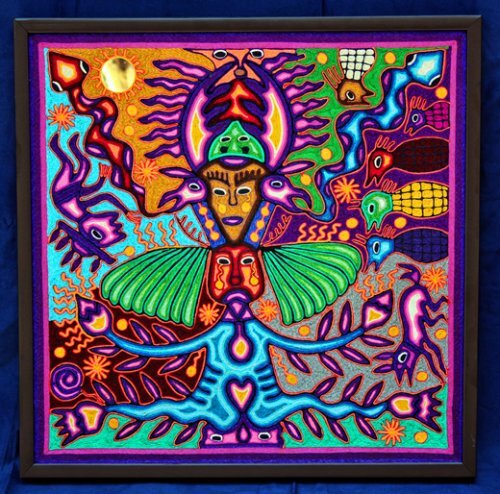 He also has huichol yarn paintings available.